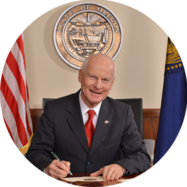 SALEM, OR — Today, Secretary of State Dennis Richardson released a statement documenting approximately $106.2 million in questionable spending by four state agencies from January 2, 2017 through June 30, 2018. One audit that contributed to this result was the Audits Division’s report on improper Medicaid payments. Auditors estimated that the agency unnecessarily paid nearly $74 million, including duplicate payments and payments for ineligible Medicaid clients. The Audits Division has consistently identified more in revenue enhancements, savings, and questioned costs than the audits themselves have cost. While this measure does fluctuate over time, the 2017-18 fiscal year was an especially successful return on audit investment. This equates to $14 in questioned costs uncovered for every $1 spent conducting the audits. Since June 2018, another example of the division’s exceptional work was uncovering $641,835 of dubious lease payments made by the Oregon Department of Energy (ODOE). ODOE paid rental charges defaulted on by a now-defunct solar power company that had also been given loans through the Small-Scale Energy Loan Program that they could not pay back. The Audits Division anticipates the identification of additional questioned costs, savings, and revenue enhancements from audits currently underway. The Audit Plan for next year will include audits explicitly focused on cost savings and increased efficiency. Also planned is the establishment of a full-time Medicaid audit team, which is anticipated to have high returns on investment.